Over the course of year, chimneys get pretty dirty. Whether you have a masonry chimney, a prefabricated steel chimney, or small stove chimney, soot and creosote build up naturally over time, and can cause performance problems and eventually hazards if not removed. But those are not the only things that can end up in your flue. It is not uncommon for pieces of debris, or even bird nests or wild animals to take up residence in your chimney, especially if you do not use it very often. For this reason, it is recommended that you have a CSIA Certified Professional clean and inspect your chimney system at least once a year. 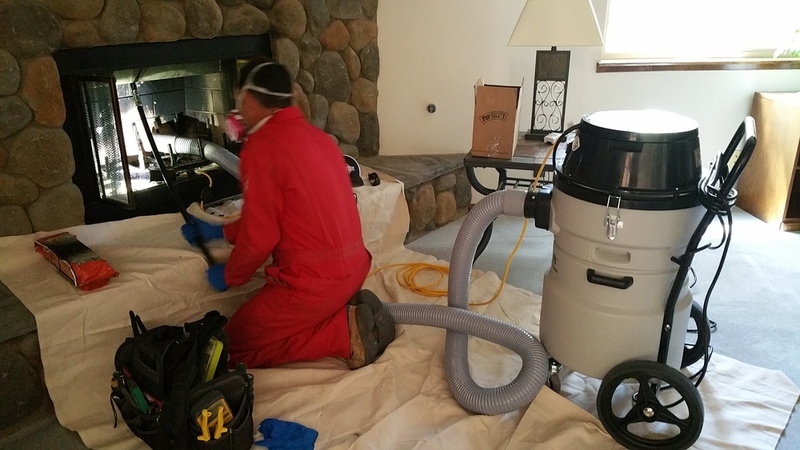 If you want your fireplace or stove looking brand new, we can remove any stubborn smokes stains or soot buildup outside the firebox, on interior masonry or mantle, or on the walls or ceiling for an additional fee. Call us today for more information on our cleaning services.